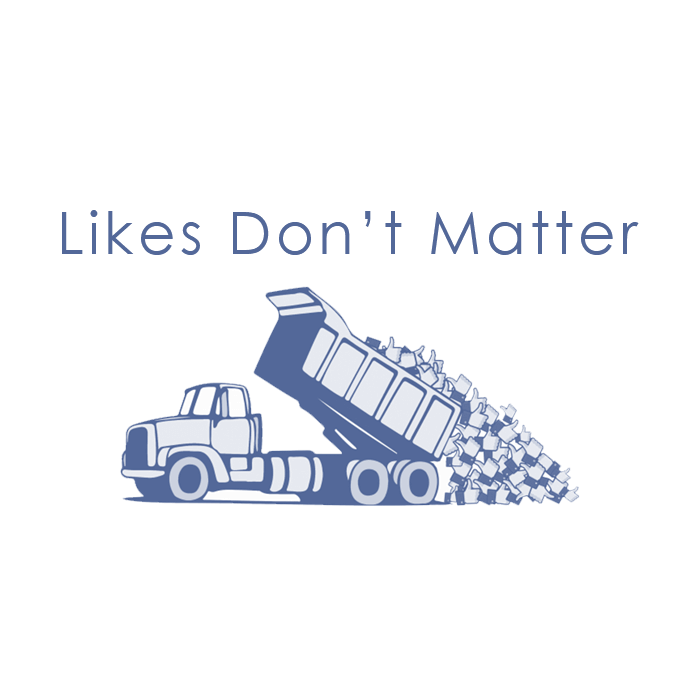 Why Facebook Likes Don’t Matter? Likes or fans on Facebook will not be enough to convince target users in order to respond to the content posted on the page. It might show others a number or create an impression of being accepted by a community, but those likes won’t give you an interactive audience. You need to deliver what they want to consume rather than vice versa. Though Facebook likes is still a strong criteria to judge brand value of a page but not the right factor to conclude its engagement rate. Gaining Facebook likes might give you a virtual confidence of existence but it doesn’t help you turn a lead into conversion. As the business completely depends upon the interactions and responses that a page receives till they don’t fall into place, conversions won’t end up on a higher end. According to some studies, organic traffic of a fan page isn’t as effective as paid advertising is. Promotions or advertising on Facebook is a much productive method than to gradually gain organic traffic and expect out of it a decent conversion rate. It’s simple, for instance you have 5000 likes on your page that means only few hundred would be reading your posts or reacting to it. It’s a time-taking filtered process, while this isn’t the case with ads. Rather it’s a better tool to promote your product comparatively. Facebook newsfeed decides what you are going to see and will react upon. Hence, the content posted and shared by the users will take the brand name and its services forward. Regardless of the number of likes, the content is the foremost impression that a target user perceives, rest of the facts are secondary or unnecessary in many ways. A potential customer will click to open your page due to the advertisement, visual appeal or the product, here likes are not relevant. Basically quality content will invite the eye balls of customers. Likes are not going to improve your engagement rate or selling rate for that matter. Facebook likes do not contribute as much to the interactive aspect but it contributes more to the branding of a page. It will help in improving the organic reach on posts though but that cannot be sure shot factor to gain the most out of it. More likes can only help you in qualifying the number game among the competitors; it still leaves an impression of being at the top, if the likes are way more than the other. See also: How to increase Facebook Reach and Engagement. Even if a marketer has a humungous number of followers and likes, the clientele quality won’t be the same as expected. For that one has to focus on the targeted boosting to engage clients or customers of similar nature or the ones who are best suited to be associated with your business. The quantity of likes clearly is not something that can reflect the quantity or quality of the business. It only shows the people who might be interested in the content you are posting, but that is still a possibility of conversion not promise. As a customer or follower, it’s not something they are desperately looking forward to. It helps in self-proclamation of your page, which isn’t a deciding factor for customers, whereas competitors might get affected. Its market value isn’t the same now, more likes sound like more of a way to self-declaration of being desirable. Page likes can boost the brand value for few, while post likes are more relevant for the business. More page likes is slowly losing its essence as it neither assures nor contributes anything in terms of growth in business. It might convince you to remain in your bubble for the sake of it, ground reality is bit different, here its social reality. Having a certain number of followers or likes can suggest that the page is being accepted but it doesn’t reflect how much business one is making out of it. Facebook likes works on the assumptions and perceptions rather than the facts.